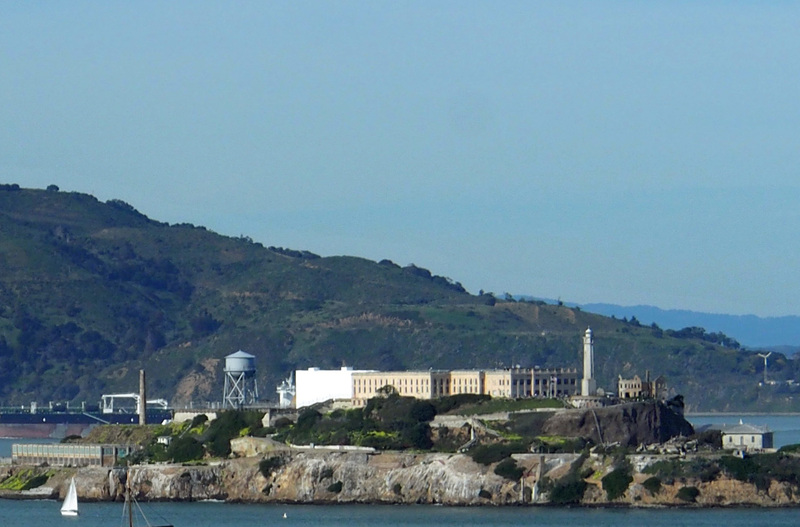 The future of Alcatraz Island had already been the focus of considerable debate in San Francisco when American Indian activists took matters into their own hands by occupying the vacant site 49 years ago this month. Proposals to that point in 1969 included a bid by tour companies to turn the island into an attraction that one San Francisco official feared would become “the Coney Island of the West,” and a plan by Texas oil tycoon Lamar Hunt to create a museum in tribute to the United States space program, with pioneer rocket scientist Wernher von Braun as a consultant. Those ideas were opposed by conservationists. The occupation by a coalition of Native Americans calling itself Indians of All Tribes began Nov. 20, 1969, and would continue for 19 months. 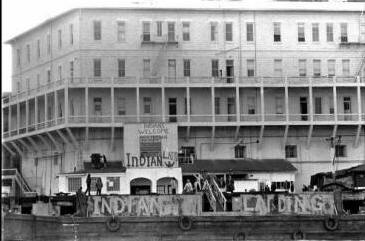 It remains the longest Native American occupation of a federal facility on record and fostered a political movement that continues today, writes Cal State Long Beach professor Troy Johnson, on the National Park Service website for Alcatraz (www.nps.gov/alca/). It was actually the third Indian occupation of the island, the first lasting for four hours in 1964 and the second for a day in early November 1969. The 1964 occupation “is significant because the demands for the use of the island for a cultural center and an Indian university would resurface almost word for word in the larger, much longer occupation of 1969,” Johnson notes. The former federal penitentiary had been empty for more than six years when Richard Oakes, a Mohawk, led about 100 people of Indian ancestry onto the island, including 80 students recruited at UCLA. The population on the island saw changeover and a gradual dwindling as negotiations dragged on for months between adamant activists and federal representatives trying to stall and outlast the occupation. The stalemate ended June 10, 1971, when federal marshals and FBI agents removed the 15 remaining occupiers. The National Park Service has said it plans to schedule commemorative events next year to mark the 50th anniversary of the occupation. Johnson writes that the activist action was successful in bringing attention to the plight of Indians and their desire for self-determination. “As a result of the occupation, either directly or indirectly, the official government policy of termination of Indian tribes was ended and a policy of Indian self-determination became the official U.S. government policy,” he notes.